Fiddlers Ferry Power Station on the River Mersey. 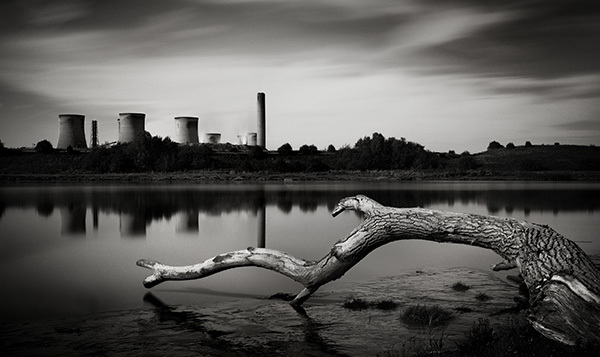 Fiddlers Ferry generates 1989MW of power burning 16,000 tonnes of coal and biofuel every day. It uses nearly 200 million liters of water daily from the river for cooling. For those who are interested in the technicalities of long exposure photography this was a 3 minute exposure at f8 and iso200 using a Nikon D40 and Nikon 16-85vr lens.